Has Venezuela’s moment of truth arrived? The collapse of Venezuela is one of the greatest human tragedies of our time, all the worse because every part of it was avoidable. Gang violence is now such that, by some estimates, a child is killed every eight hours. Add the adults, and it’s a violent death every 25 minutes. Mothers sit on rubbish heaps scavenging for food, prices double every month, thousands flee every day. Not so long ago, this was the wealthiest country in Latin America. Most Venezuelans now live on standards comparable to those of Bangladesh or the Democratic Republic of Congo. The rest of the world can only look on in horror. United States President Donald Trump may not be the most obvious solution to all this, but his actions on Venezuela last week have been effective. The problem is Nicolas Maduro, who has taken the radical socialist policies of his mentor, Hugo Chavez, to their destructive conclusion. The nationalisations led to economic chaos and hyperinflation. For the first time Maduro now faces a united and energetic opposition led by Juan Guaido, whom Trump has recognised as the “interim” Venezuelan president. Within an hour of Trump’s announcement, Guaido was also recognised by Argentina, Brazil, Canada, Costa Rica, Colombia, Guatemala, Paraguay and Peru. In Caracas, thousands of protesters gathered to cheer Guaido on during a mock swearing-in ceremony. A movement to displace Maduro is now under way, with backing across Latin America and Trump offering coordination and support. 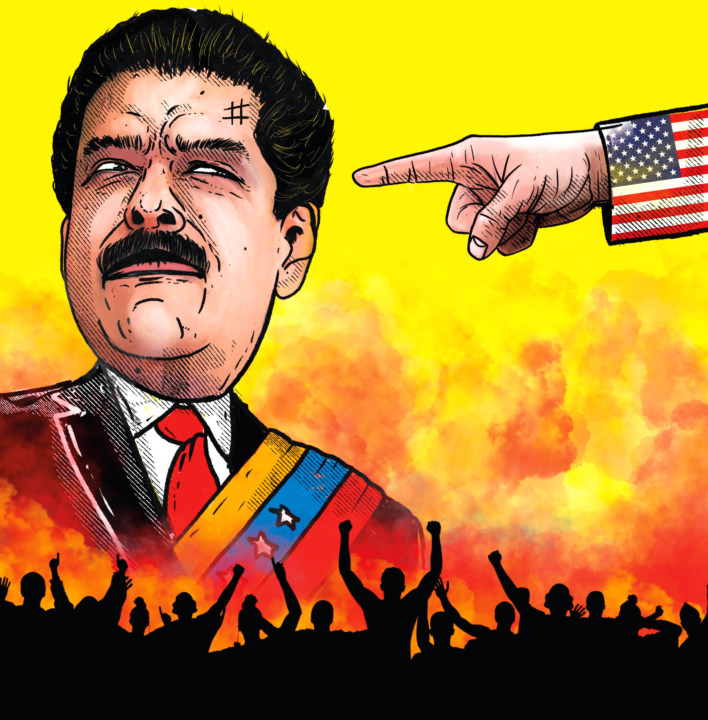 The US president started off with sanctions against Venezuela, but has realised that they won’t achieve much — with Maduro using them to blame America for everything that’s going wrong. Intensifying sanctions would only serve to deepen the agony of people who are already dying for want of basic medicines. Asking a third country to mediate (as Norway once did in Colombia) won’t work either. The Vatican tried to play honest broker in Caracas, but gave up once everyone realised that Maduro was playing for time. So Trump is now leading from behind, working with a coalition but realising others need to take the lead. Colombia and Brazil don’t need encouraging, given that both are inundated with refugees and drugs flooding in from the neighbouring narco state. It is now impossible for Maduro to claim any popular mandate. He was returned to power in May last year only after a decision by his opponents to boycott the election. Guaido is not seen as an American stooge, given that he’s recognised as president by so many governments. Trump’s endorsement is not toxic in a country where so many are preoccupied with basic survival. Mike Pence, the US Vice-President, on Tuesday released a video offering America’s “unwavering support” and urged an uprising against the “dictator” Maduro. He quoted Simon Bolivar, the father of Venezuela, to the effect that a freedom-loving people will always be free in the end. As for Trump, he isn’t playing the man of peace. It’s not his style. He has been riling opponents at home by refusing to rule out military action, saying that “all options” are on the table. He’s not a great one for nation-building, but he doesn’t need to be. The US role is to do what it can to encourage allies to provide a Latin American solution to a Latin American problem. The next steps are tactical. The US can pull strings to make it clear that things will get better in Venezuela after Maduro goes: not just the lifting of sanctions, but perhaps a US-inspired bailout by the International Monetary Fund. While Venezuela does have oil, it lacks oil experts — they have left the country, along with anyone else who could. If American expertise is needed to revive the industry, then Trump will have to avoid the temptation to demand any kind of price. Reconstruction will be the hard part. There is no formula for successful Latin American nation-building. There’s a cycle: populists bring economic disaster. A Right-winger comes along to restore order but also brings inequality. This leads to populism and the game starts again. It’s tempting for America not to engage, to just build a wall and not care what happens on the other side of it. Trump’s policy now — standing behind not just Venezuela’s neighbours but its elected parliament and democratic process — is the best chance out of this mess. He is letting Maduro’s critics (especially in the army) know that now is the time to be bold, and that the US stands ready. Can he be trusted? His offer might be the best the Venezuelans get.